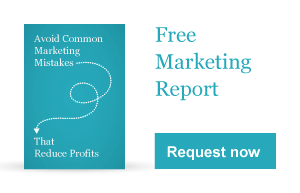 Powerful marketing strategies generate profits faster! When McCabe Marketing meets with a new business owner, one of the first questions asked is “when do you plan to sell your business?” You must plan and build your business with the end in mind, and for many it’s cashing out and retiring, while for others it’s handing it over to a family member to run. Regardless of your long-term intentions, you must build it to be sold. Marketing is a key element of your business plan. McCabe Marketing has worked with a number of business start-ups from developing a business plan to marketing strategy and programs. MyPersonalizedPet.com is a business that started as a hobby. The owner sewed items and embroidered her dogs’ names on them. Soon friends were asking for products for their cats and dogs, and they had ideas for new products. McCabe Marketing recommended a simple low cost way to sell their products using eBay to determine the demand. Their online presence evolved to develop their own website and now they have customers across the globe. Their products are locally made; the trade show strategy enabled consumers to touch and feel the quality…and feel good about buying products made in Canada. With this two-pronged approach sales soared by 250% in one year after launch. The result is that the owners are well positioned for an ultimate sale. Do you need a business or marketing strategy? Are you interested in moving your business to the next level? The results were phenomenal - our sales grew by 250% after one year! We highly recommend all business owners to seek out McCabe Marketing to launch and grow their business. Want to promote your business without breaking the bank? Video is a great alternative to a website to showcase your business. Post it on YouTube the second largest search engine in the world!